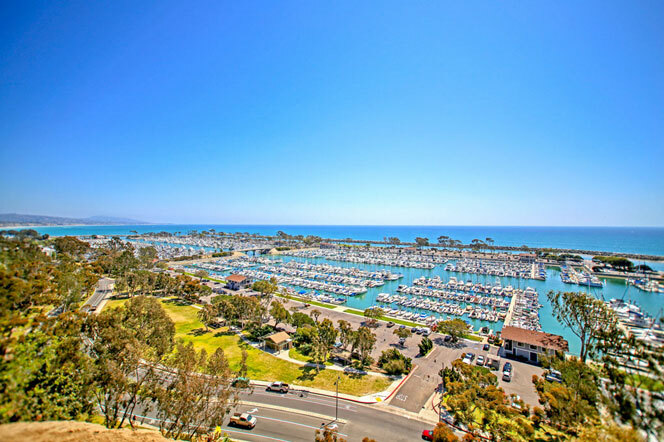 The Admiralty community in Dana Point is located along the coast in the Lantern Village district. 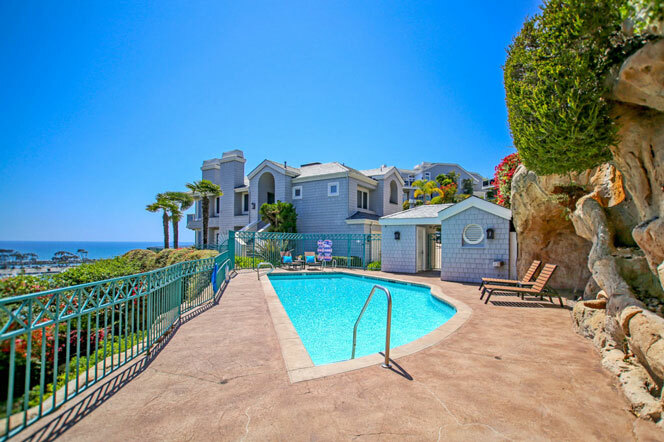 This is a very small complex of 27 luxury townhouses situated next to the Dana Point Marina. Select condos will be ocean front with ocean view units also available as well. 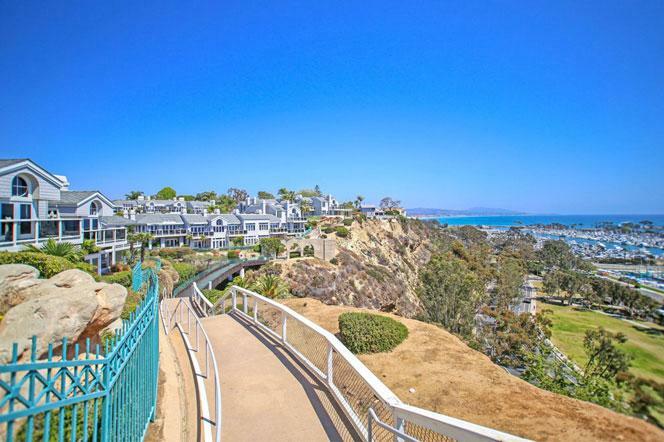 The complex was built directly above the Dana Point harbor area and has spectacular views of the ocean and yachts that are parking in the harbor. View our community video below to learn more about this great complex. On average, only a couple condos in this complex will come on the market in any given year so inventory is very low. 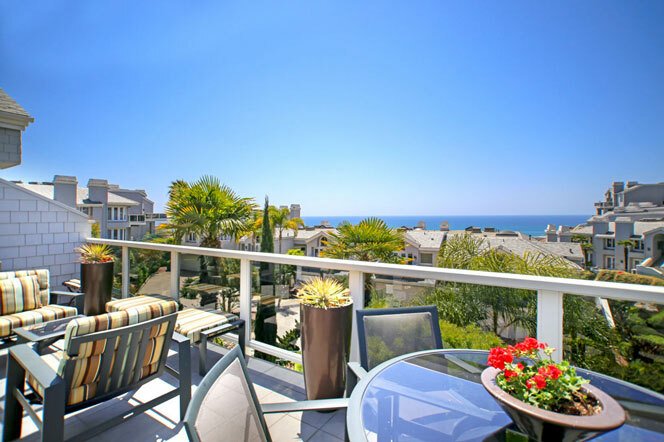 The units themselves tend to be very large and offer a prime location in the Dana Point town center. The Admiralty complex is gated so all condo showings are by appointment only. Condos located on the front row will have direct ocean and harbor views. Properties located on the 2nd row will still have nice ocean views and are pictured below. The associations provides a nice community pool and walkway that takes you along the bluff front. Homeowners association dues currently run $895.00 a month and includes the gated entrance. Please contact us at 949-606-4114 with questions regarding any of these properties. 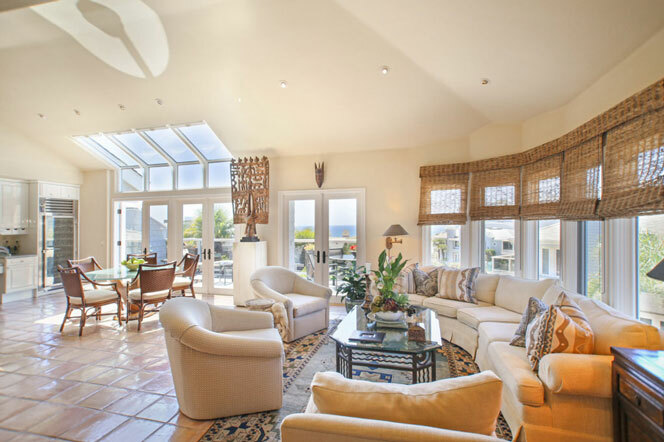 Based on information from California Regional Multiple Listing Service, Inc. as of April 18th, 2019 at 10:03am CDT. This information is for your personal, non-commercial use and may not be used for any purpose other than to identify prospective properties you may be interested in purchasing. Display of MLS data is usually deemed reliable but is NOT guaranteed accurate by the MLS. Buyers are responsible for verifying the accuracy of all information and should investigate the data themselves or retain appropriate professionals. Information from sources other than the Listing Agent may have been included in the MLS data. Unless otherwise specified in writing, Broker/Agent has not and will not verify any information obtained from other sources. The Broker/Agent providing the information contained herein may or may not have been the Listing and/or Selling Agent.